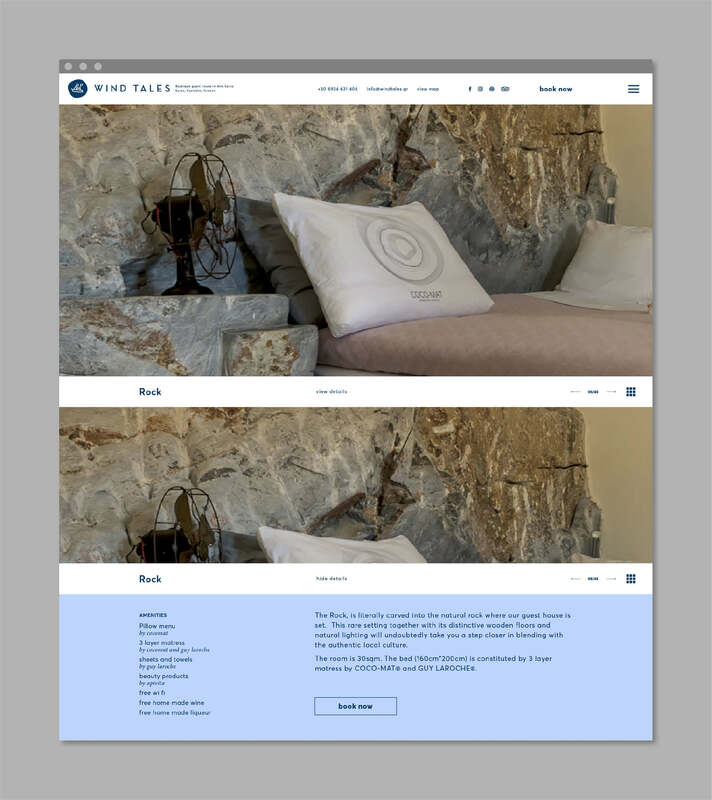 We were hired to create a tailor made experience for a unique guest house in Syros island, Cyclades. Situated in the top of a hill, with an amazing view of the Aegean sea and the Cycladic complex, the imagery needs to be the hero of the navigation. We created a fusion between an one-pager experience and a presentation. The website consists of 6 autonomous sections that lead to maximum 2 further levels of navigation. Each section follows a specific grid system, to avoid inconsistencies in the visual flow, trying to maintain the imagery as the navigation hero. We also created an easy tool in the back-end so the administrator can “push” any section on the landing page, at any time, for better marketability. Chosen colors enhance the cycladic spirit and compliment the photography utilising the first contact as an introduction to the island’s essence.